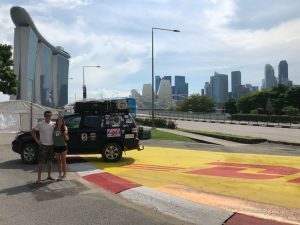 If you’re into off-roading or overlanding, then you’ve probably heard of Hi-Lift, the American company based in Indiana. The company’s name became THE name for off-road jacks, so anyone who is looking for the best ‘high-lift’ jacks will inevitably come across their product: the Hi-Lift Jack. 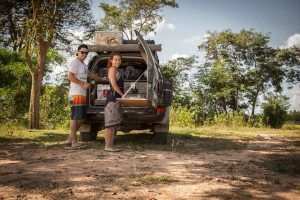 If you are the owner of a 4-wheel-drive vehicle and not afraid to test its limits, you have probably realized that a hi-lift jack is something you should never leave your home without. This tool can take you out of a bind in desperate situations – but only if you know how to use it right! In addition, the factory jack (whether it’s a bottle or screw jack) that your vehicle originally came with will probably not be capable of lifting your vehicle once you changed your tire size. It will just simply not be high enough. Unfortunately, while the off-road jack can help you lift your 4x4 rig, not everyone knows how to use it correctly. Not only can incorrect use lead to injury, but it will also prevent you from reaping the benefits that come with using this device. 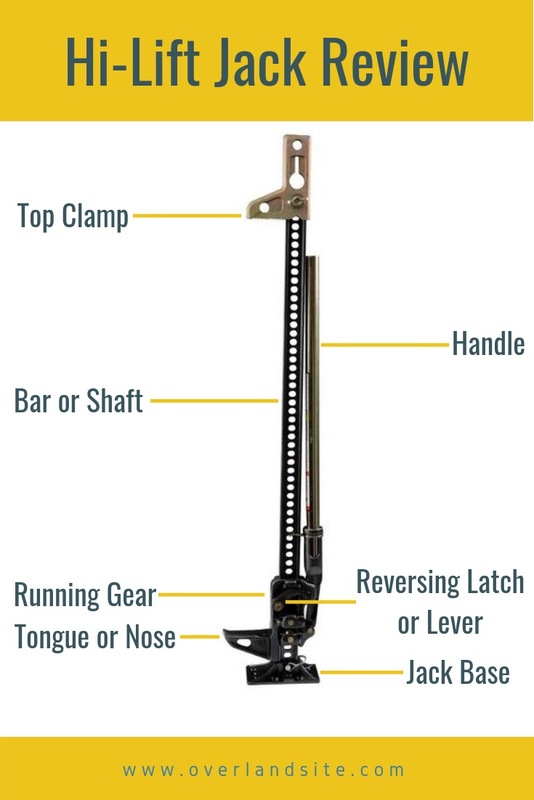 In this hi-lift jack review we will go through the most important aspects of this product. 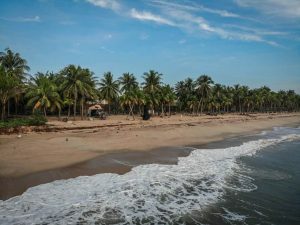 Using it in a safe way is the most important factor and this guide’s purpose is to teach you all about it. 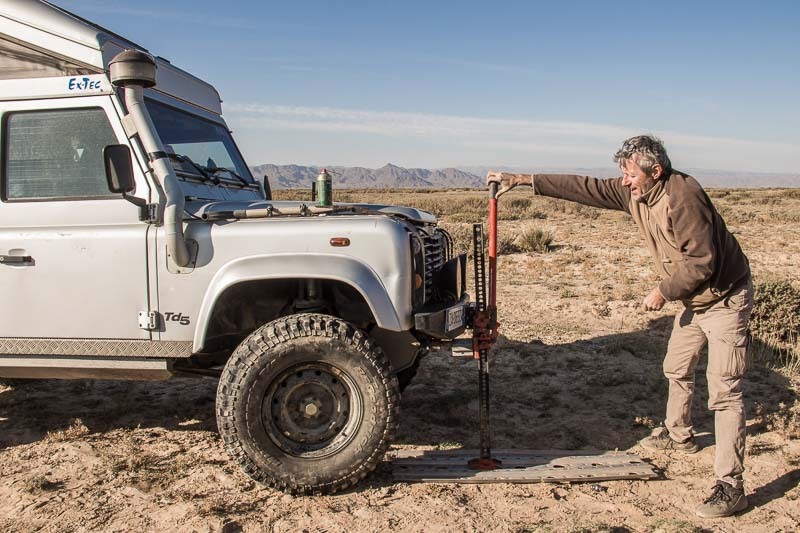 No matter how good of an off-roader you are, when it comes to using a 4x4 jack, you need to be humble and learn the basics upfront. After all, you will be lifting heavy items, and this can be quite difficult and dangerous. To ensure complete safety, here are some quick tips that you might want to follow. A hi-lift jack can become very stiff over time. Dirt and mud can bundle up, causing your tool to jam or malfunction when you need it the most. Hence, you should maintain your hi-lift jack properly. Especially if you store your off-road jack on the outside of you vehicle, make sure you lubricate the moving parts and service the tool before you go on a trip. Most cars should be equipped with specially designed points for your jack. However, for a heavy off-road vehicle you need extra strong jacking points. If you’re unsure where your jacking points are, speak to an off-road specialist in your area who is familiar with your vehicle to advise you with respect to the actual jacking points on your truck. This cannot be emphasized enough. Sturdy metal bumpers and rock sliders usually work as jacking points. Plastic bumpers and factory sheet metal won’t be strong enough to support all the pressure between the vehicle and the jack. 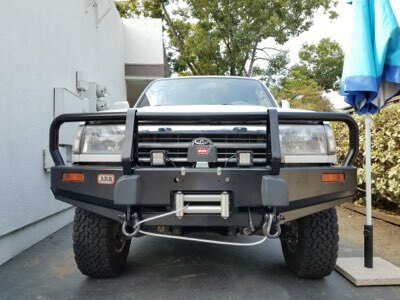 A sturdy metal bumper like this one, usually has several suitable jacking points. Make sure the jack tongue doesn't slip and securely connected to the bumper, though. Not using the correct jacking points is not only very dangerous but will also damage your vehicle. To be on the safe side, you might also want to invest in a few hi lift jack accessories. For example, a hi-jack lift is designed to lift vehicles – not to hold them. If that’s what you want to do, you should get something such as an axle stand to hold your vehicle. Since an off-road jack is a very heavy item, securing it on to, or inside your vehicle is equally as important as maintaining safety while using it. Safe and strong high lift jack mounts or brackets are a must. Give your mounting point a thought before you purchase your hi-lift jack. This tool comes in different sizes, so storing it inside or outside can be an important detail. Whenever you are using a hi-lift jack, make sure that it won’t go sinking into the ground. If you’re on loose ground such as sand or mud, you should operate your 4x4 jack only after you made sure it’s standing on a sturdy base to hold onto all that weight. A base will increase the footprint of the jack. A dedicated hi-lift jack base (often referred to as an off-road jack base) will make your jack be able to lift your rig even on those loose surfaces, but you can also use a simple wooden board if you don’t have a base. A couple of sand mats can also work! With a lift mate, you’ll be able to lift your wheel directly. By doing this, you’ll be able to put rocks, sand mats or any other item under the wheel to increase traction in a tricky situation. If something can go wrong, it will go wrong – so you better not leave anything up to chance. If you don’t want something to be bruised or broken by the hi-jack firing line, you need to take it away from your car – or from its vicinity, for that matter. Place the jack’s reversing lever in the down position before lifting the nose (or tongue) beneath your vehicles jacking point (usually metal bumper or rock slider) and pull up on the handle to bring the jack nose (or tongue) in to the lifting position. Once the tongue is in the right position, move the lever (or latch) up, until it clicks. By leaning the hi-lift jack a little away from the vehicle, you can avoid damaging any body panels as it lifts. From California to the Sahara Desert with a 4Runner – Meet Marc! Use one hand to hold the jack’s bar to make it steady as the rig goes up. Hi-lift jacks can be wobbly if the ground is not level and firm. Make sure there is nothing between the bar and the handle, especially your fingers or your head. The base plate needs to be on firm, flat ground. 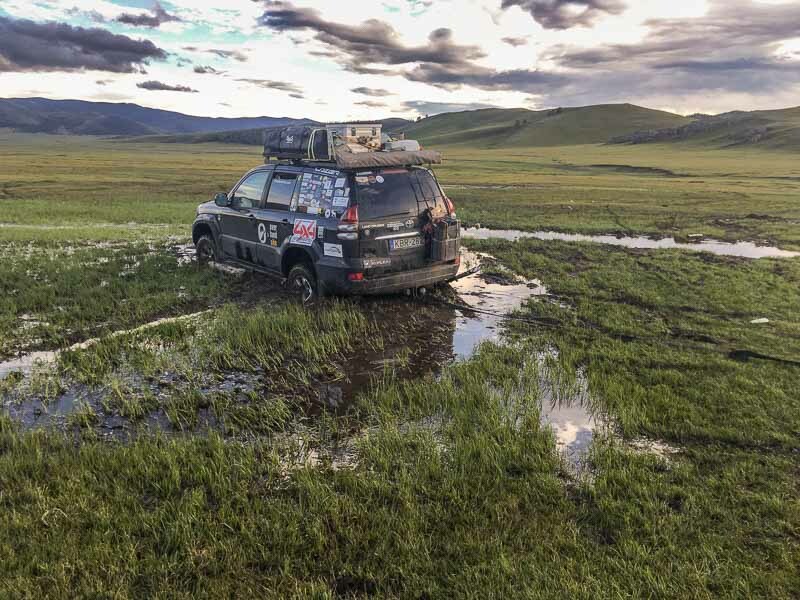 To further increase the footprint, you can use an off-road jack base, but it can also be a flat rock or a solid plate of some kind. Regardless of the situation, you have to ensure that your hi-lift jack won’t go sinking into the ground and won’t slip on the surface. A good anchor, like a jack-mate can help if a flat base cannot be used. A 4wd truck will generally have jacking slots for you to safely connect your tool. Find those points, secure the jack, and then you may proceed with the lifting. Be careful – if your vehicle is particularly heavy, you might want to use more than one high lift jacks to lift it up. Once you begin to lift, you will need to keep your fingers and your head away from the area between the bar and the handle. While keeping a safe distance from your vehicle, push the lever up and down – constantly checking for the clicking sound. Place the resistance on the outer point of the handle – otherwise, you might not be able to lift it. Once you lifted your truck high enough, make sure to snap the handle into a locking position. This will make sure the handle doesn’t fall and start to ratchet on its own. A lifted 4wd vehicle can be very dangerous. A good practice is to place a tire underneath the vehicle. That will avoid the rig to fall too far, should it move due to any reason. You shouldn't work underneath your vehicle that is supported only by a jack. Once everything is in order, slowly lower the jack lever. Before you start doing that though, make sure everyone’s clear. Some have a firing mechanism – others have to be lowered manually. For this, you will have to read the instructions manual! Most often, you will have to put the reversing lever (latch) into a downward position and start lowering your vehicle. Move the jack handle up and down. Take full strokes and wait for the click at the bottom of each stroke. When the weight comes off the jack, the lifting mechanism will drop to the bottom of the bar. Place the reversing lever back to the up position before storing the jack. This will prevent the lifting mechanism from sliding up and down the bar. Lift Your Car from Mud and Sand: if you have large wheels, mud and sand can be slightly problematic. However, by using an off-road jack, you can lift the rig, fix the flat tire or dig out the stuck wheels, and go down your way. Turn Your Car Around: every now and then, you may reach a spot where it’s impossible for you to turn your car around. However, by lifting your car from the front and back with a hi-lift jack and then letting it fall off the side, you can turn it around a decent angle. The process may take a few hours – but at least it will get the job done. 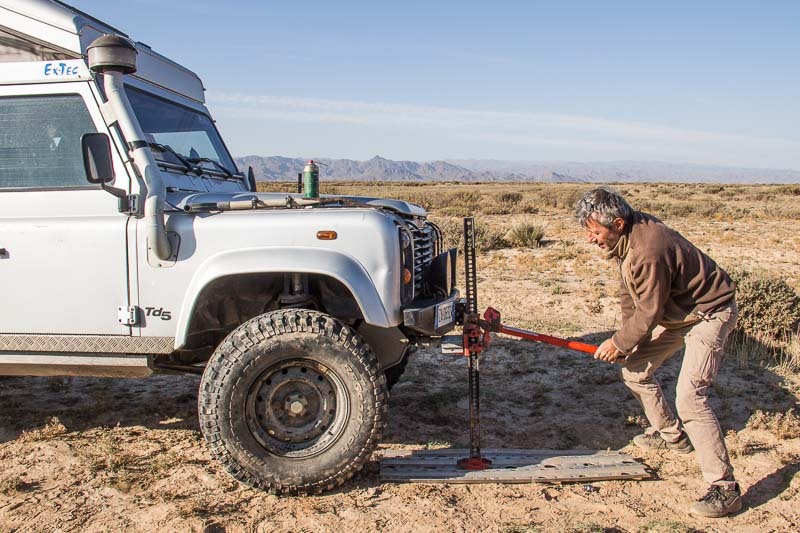 Use it as a Spreader or Clamp: to fix something like a bent steering rod, you can use the off-road jack as a gigantic spreader or clamp. You will need a top clamp in these cases. Winching: using recovery straps (and a tree saver if you’re ‘winching’ your vehicle with the help of a tree) and other basic accessories below, the hi-lift jack can be used horizontally - this way it acts like a winch, slowly recovering your rig from a stationary position. 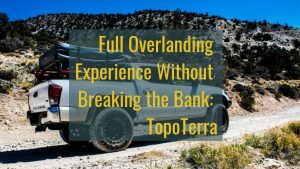 If you are passionate about off-roading or overlanding (What is the difference? ), a 4x4 jack is something you should never leave your house without. It can take you out of a bad situation when you are badly bogged. Because this cannot be said too many times: whenever you have to use it, make sure your priority is safety! This is one write up I particularly find informative.. I never knew that the high lift jack has some other uses…great share..
Having the moving parts of the hi-lift jack lubricated is very vital. This is especially true if you rarely use it as it can become stiff at the joints over time.